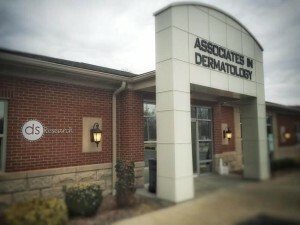 DS Research recently partnered with Associates in Dermatology and now has a second location in New Albany, IN. Nick-named the “Sunny Side of Louisville”, New Albany lies along the Ohio River opposite of Louisville, Kentucky. Our office building is located at 2242 Green Valley Road- minutes away from various restaurants, shops and Floyd Memorial Hospital. We are conveniently located within the same office building as Associates in Dermatology, a leading dermatological practice staffed with prestigious professionals that strive to stay up to date with the latest trends in dermatology. 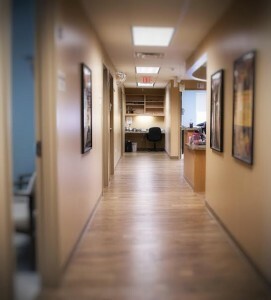 The first floor of our office consists of a large waiting room staffed with welcoming receptionists who maintain the front desk for patients and companies checking in. 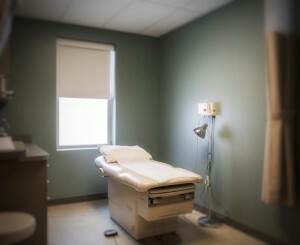 In addition to a spacious waiting area, the first floor consists of private exam rooms, a private restroom for patients and a CLIA certified laboratory. There is also a secure area designated for research offices, monitoring rooms, locked drug rooms, restrooms and a break room used by doctors and staff. 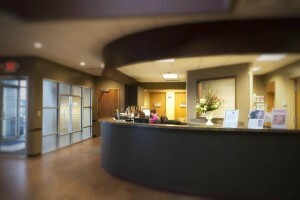 -Priority Radiology for X-Rays, DXA Scans, etc.